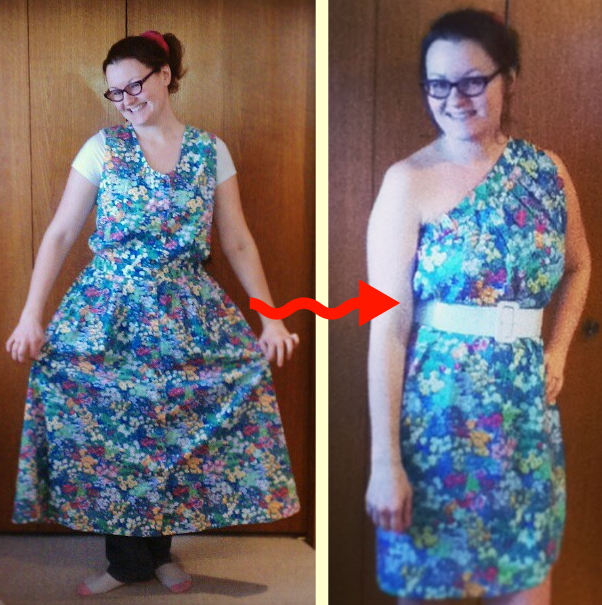 I can’t believe we’ve made it to the fifth and final week of the Refashion Runway Challenge. This season has been so much fun and has also been incredibly challenging. For this week’s refashion I was lucky enough to find a king-sized sheet set at a dollar-a-pound Goodwill in the very color I needed! Woot! While at the Goodwill I Googled an image of the Pantone Blue: Riverside shade, and was able to make sure the colors matched up. As you can see I have a decent stash of buttons. For this week’s Refashion Runway challenge, I wanted to make an entire outfit that fit the button theme. Can you say Throwback Thursday? 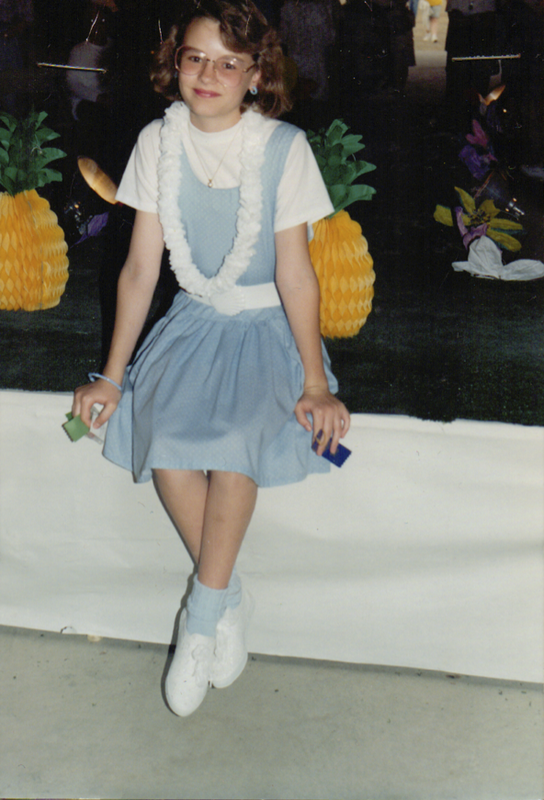 Yep, that’s me at 12 years old, at my first 4-H fashion show…yep, fashion show. I came upon this picture the other day while going through an old box of keepsakes. I know I haven’t posted in a while. I had a busy weekend celebrating my 10 year wedding anniversary with the hubs! My parents took the kiddies for a few days and the fella and I celebrated with STEAK! Yummy! We also watched a couple of movies and went out to eat at my favorite burger joint. Hey, we don’t get out much, so we figured we’d take advantage of the free child-care. Ha! 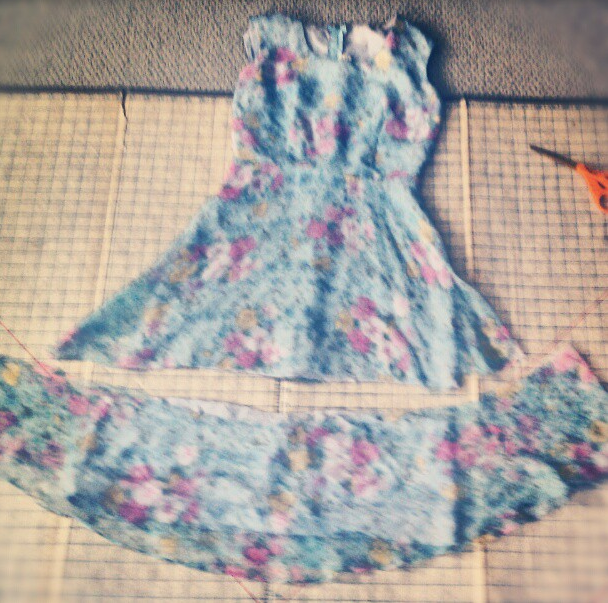 Anyway, back to the refashion. Hmm, looks like an outdated Easter dress to me. 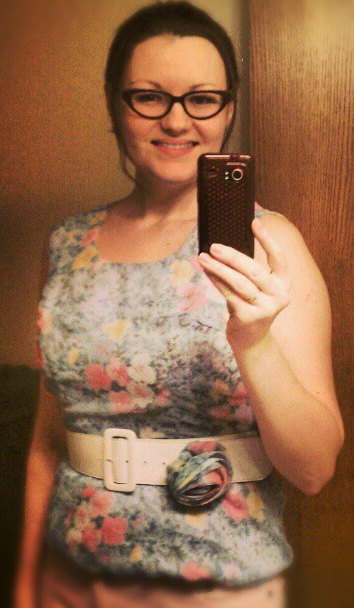 But hey, for only .49 I figured it would be the perfect candidate for my first refashion. I mean, if I completely mess it up I’m not out much! I made sure to do a basting stitch so that I could gather the bottom a little bit. I was going for a peplum look. 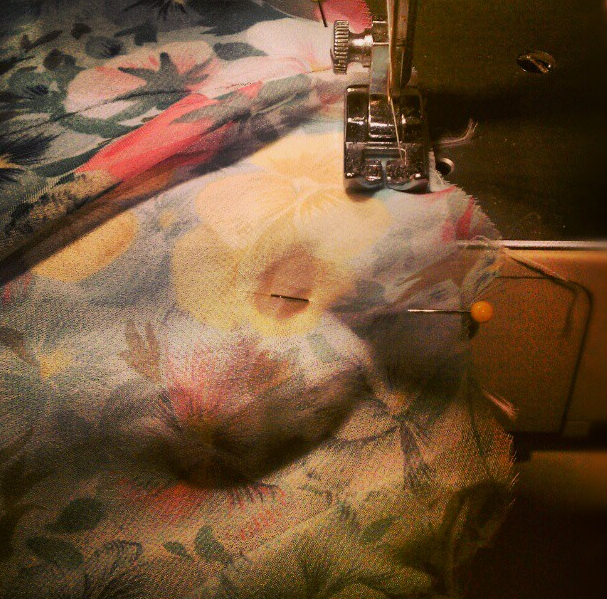 So after getting it all pinned, I stitched in the ditch to hide the stitches. 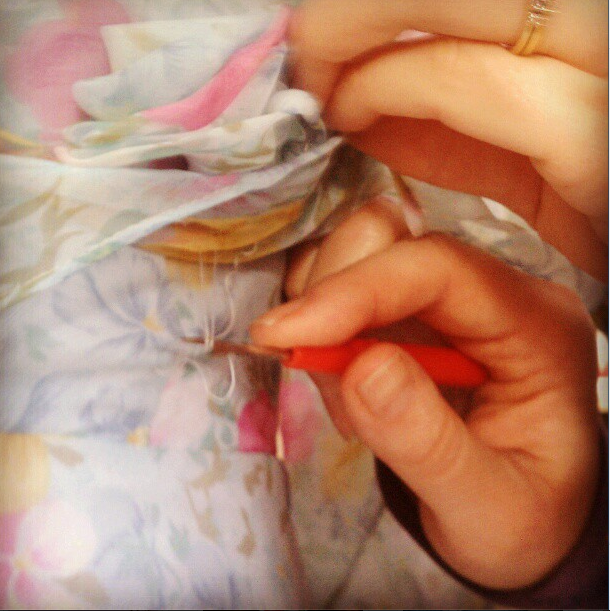 If you want a better explanation of this technique, here’s a great post via Diana’s Sewing Lessons. 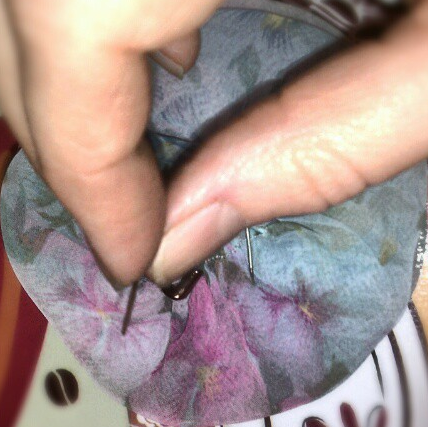 You can see that the needle stays in the “ditch” (or seam), so the new stitches stay hidden. It’s the flower I removed earlier. I thought I would sew a safety pin on it, so that it wasn’t permanently attached. So that’s it! 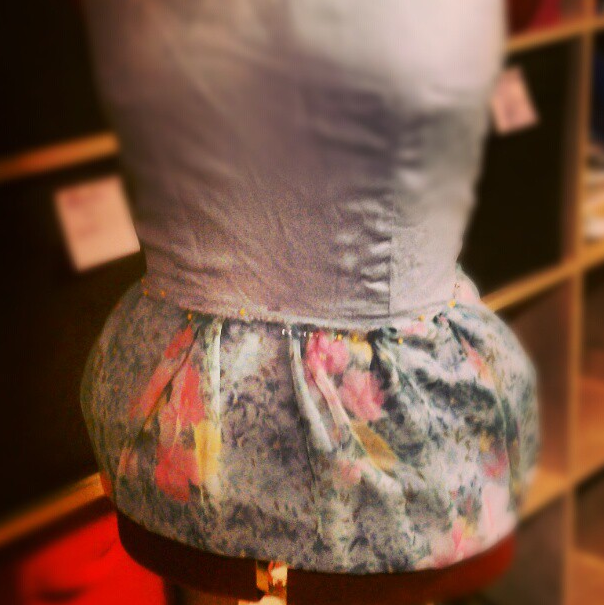 The peplum wasn’t as poufy as I had hoped, so I added a belt and clipped the flower pin on, and voila`! 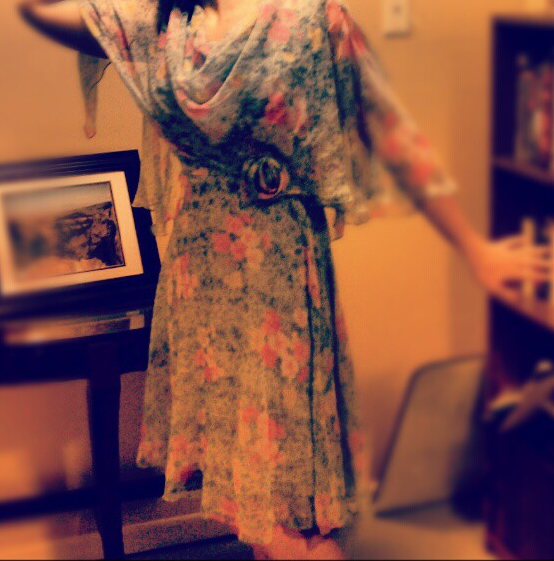 Ready to frolic in my frock. Which look did you prefer? The before or the after? 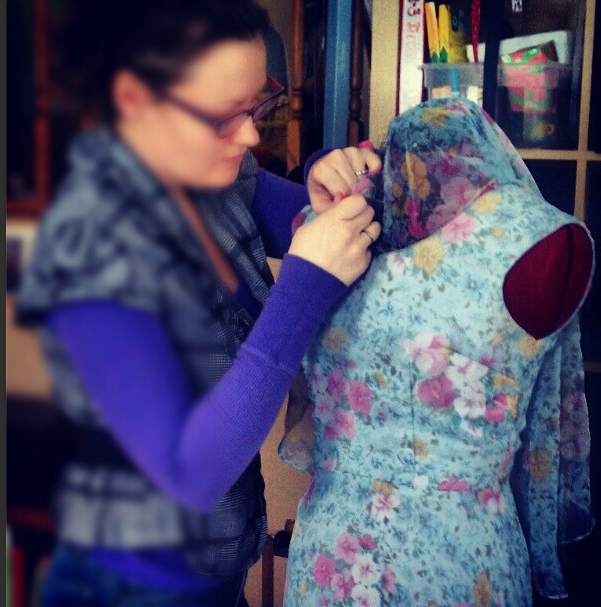 I hope you all had fun reading about my refashion. Stay tuned to see what I’ll be up to next!